To hear Albert’s story read by Ruairidh Cuthill of Scone Boys Brigade; please press play on the audio file. Albert Annand Milne was the son of Jane Milne, a domestic servant. He was a native of Alyth and spent his boyhood in Methven. He was employed as a forester on the Scone Estate prior to enlisting and was well known in Stormontfield and the surrounding neighbourhood. 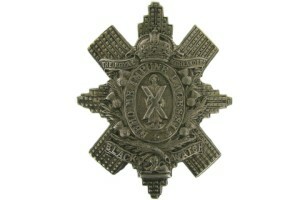 Initially, he enlisted with the Highland Cycle Battalion, before transferring to 16th Battalion Highland Light Infantry. Private Albert Annand Milne was reported missing, presumed killed, on 18th November 1917, during an attack on enemy trenches. His platoon officer said “Private Milne was a general favourite in the platoon and set a good example to his comrades.” Albert was 25 years old. He is remembered on the Thiepval Memorial. He was awarded the Victory and British War medals.